Analía is a movement artist and has spent her life searching to help others find more efficient ways to move the body, recover from injury and live a healthy life that is inspired by movement. Originally from San Juan, Puerto Rico her passion for dance brought her to the United States to pursue a dance career. Analia’s first exposure to Pilates was during her freshmen year of college where it was required to take Mat Pilates before ballet class. She immediately felt and saw the benefits of Pilates in her body and while dancing. Since then, she has dedicated herself to educating all levels on how Pilates can change lives. With over 10 years of experience, her passion for investigation has helped many clients discover their bodies’ full potential. 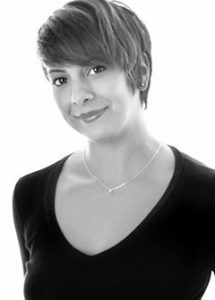 Analía is very happy to join the RAC team and wants to see you in class to experience Pilates unlimited benefits. You’ll gain flexibility, strength, a toned body and mind. Outside RAC, she is the Artistic Director of New Territory Dance Company. Analía has performed nationally and internationally and her choreography work has been presented across the United States, Mexico, Dominican Republic and the Caribbean. She can’t wait to get you in one of her classes and join you in the journey of discovering your inner super hero.